In our previous post we have seen the Resistor and its color coding to find its value, in this post we will look at one of the basic component which is essential to know in order to deal with the projects we are going to deal further. 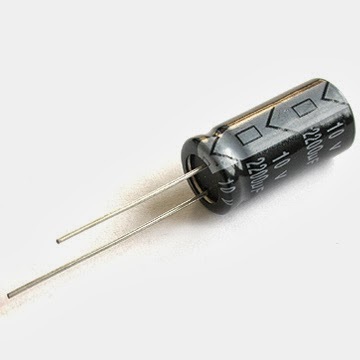 Capacitor: Capacitor is used to store electric charge in the form of electric field. When we switch off our Ceiling fan, is it stops as soon we switch OFF's the switch? Obviously it will rotate for few seconds and stops, right. Why it is so? Its because if it stops at that high speed the high possibility of burning coil(winding) inside that fan. Now what helps that fan to stop slowly ? Answer is 'Capacitor' , in general technicians call it as 'condenser' . When switch is ON that capacitor charges and as soon as the switch is OFF it discharges exponentially and provide electric charge to that fan and this makes fan to rotate slowly and when capacitor totally discharges, fan will stop rotating. Just lift your head up towards your ceiling fan, you will find a white cylinder shape device, its capacitor. Picture which is shown beside is the Electrolytic Capacitor. We have various varieties of capacitors in the market. Just google as capacitors then you will find the most general capacitors available in the market. The terminal which is long is the +ve and which is smaller is -ve. You can even find the -ve symbol on the capacitor. Disc capacitor will not have any polarity, i.e we can use any terminal as +ve or -ve. 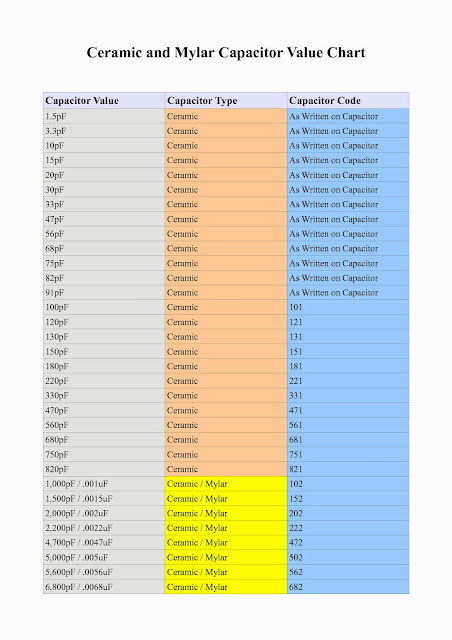 To know the value of the capacitor you can check on the capacitor which will be written. In some cases you will find some code rather than the capacitor value, use the below table to trace its value. I will end up here, in our next post we will look at another important component.